Like many other Americans, dental anxiety may be keeping you out of the dentist’s office. While it is a not a new condition, only in recent years has it been treated with the respect and care it deserves. As many as 3 out of 4 adults report some level of nervousness towards visiting the dentist. Some patients experience anxiety so overwhelming that they will avoid dental care even when they are in pain. 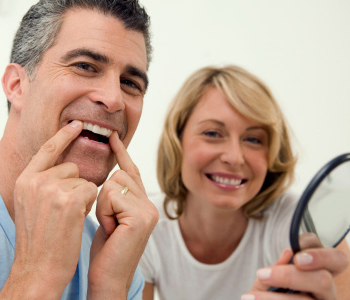 At Virtue Dental Care, we understand the importance of the patient experience. Not only is it imperative to deliver quality services, but it’s also important to ensure that patients feel comfortable and relaxed when in the office. Taking care of the emotional needs of patients allows us to continue to deliver the best care that we can. This is why we offer oral conscious sedation services. With sedation dentistry, patients can experience relaxing, anxiety-free dental visits and restore oral health and beauty to the smile. Before prescribing oral sedation, every patient will meet with Dr. Virtue for a brief consultation. This allows us to have a better understanding of the root cause of the anxiety and build trust and comfort. In many cases, we find that patients are apprehensive about the unknown, and we are able to ease these concerns by explaining the treatments and showing patients where they will be performed. The sedation involves taking a prescribed medication prior to coming to the office for an appointment. Any patient who opts for sedation will need to arrange transportation to and from the office. Comfort and relaxation. While sedatives are not intended to eliminate pain, they can help ensure the maximum effectiveness of the anesthetic. In addition, patients who are sedated are both mentally and physically relaxed. This can reduce muscle tightening and post-treatment soreness. Improved oral health. After years of avoiding the dentist, patients can finally rest easy in the knowledge that their oral health will be restored for a beautiful and healthy smile. Minimizes overactive gag reflexes. This is a major reason for avoiding dental care and one that is eliminated with the sedation. If you are in the Piedmont, NC area, and suffer from dental anxiety, call us to find out more about oral conscious sedation.